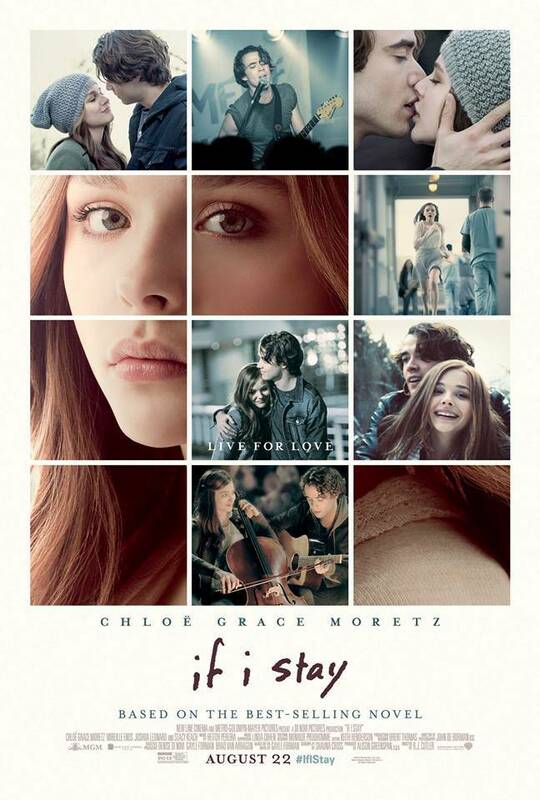 "If I stay" is a book written by Gayle Forman that is about a cellist player, Mia, that has a car accident with her family. While she is unconscious (because of the crash) she can feel and see everything around her and all that happens in the hospital to where she is taken as if she was a normal person walking around. The book alternates between the present situation (the car accident) and Mia’s past, where we start to understand her passion to the cello, her friendships and crushes, her relationship with her boyfriend Adam, her family and everything that led her to that day. In general I liked the book even though it got to a point where I just wanted to know more about her hospital status rather than her past story. Moving on to the film, seeing episodes of her past was so much more appealing than we read in the book, in the way that both the hospital situation and the past telling are so interesting that we can’t even choose if we want to see more about one or about the other. This is a case where I definitely liked the film way more than the book. Firstly because the story was so much more appealing to me and the analepsis took about the same amount of time as the situation she is going through, and I think that captivated me more than the book did. Secondly, the acting was so well performed by Chloe Grace Moretz, one of my favorite actresses, because she portrayed so well her character and transmitted really well her character’s feelings by her expressions and intonations. We could see it was such a genuine character that in some kind of way we wish we could be like her in some aspects of our daily life. Watching her passion in playing the cello and dedicating herself full time to what she truly likes was so beautiful to watch and listen to, because we could feel it came straight from her heart. Her parent’s and family incredible support and their companionship was so intense and connected and honestly seeing that in images was something that makes any person teary. Overall, I think this is a beautiful love story that covers all basis whether from love, support, friendship, bonds and inner strength. Even though the book inspired the movie to be made, I enjoyed much more the second one, and it is one of my favourite films at the moment. Favorite quote: "Sometimes you make choices and sometimes choices make you"